I love Google! 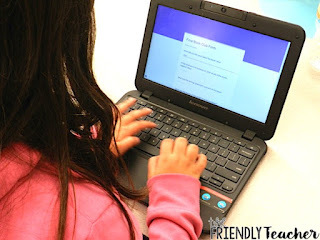 We have Google Chrome Books in our classroom and we LOVE it! 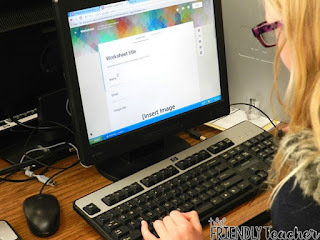 One of my favorite ways is to use Google Quizzes which is a step off of Google Forms. It is great because not only do you take the quiz on the computer so you don’t have to copy, but it will grade it all for you and then give it the results right back to the student! It is such an amazing way to assess that truly is more engaging to students. Google Forms does all my assessment work for me! 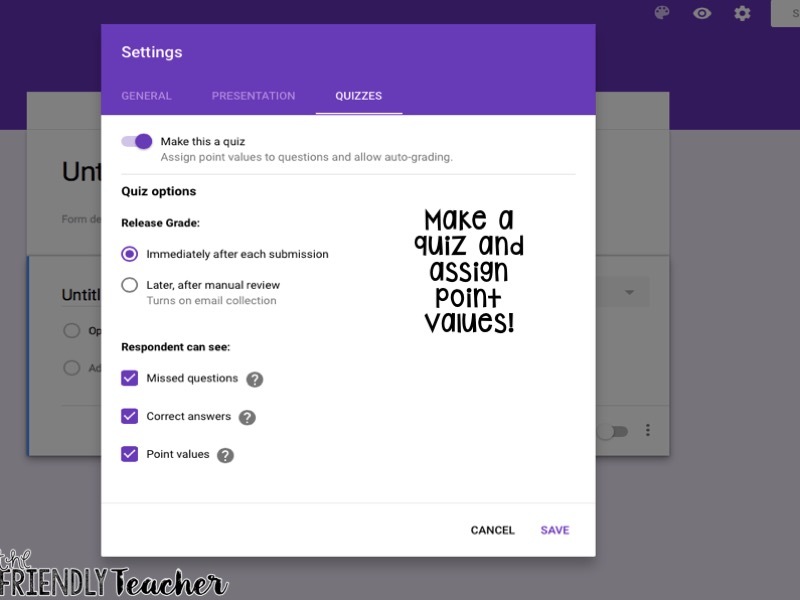 Google forms is a Google tool that allows you to quickly make an assessment, send it to your students, and look at their responses one by one! There is no paper, the kids enjoy it more, and it is quick and easy. 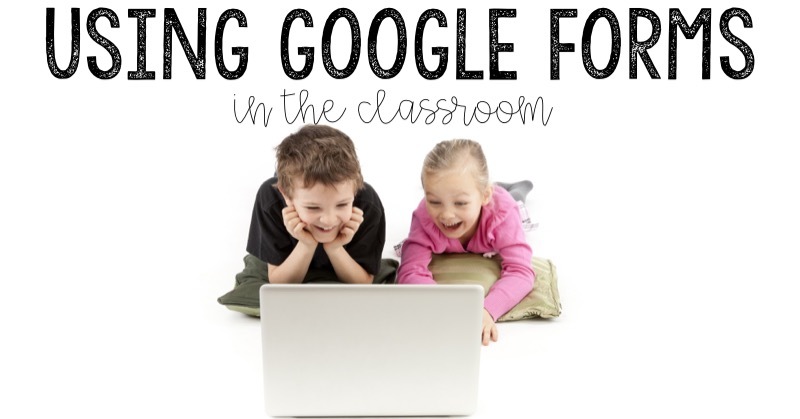 The students don’t even have to have google accounts to do the forms!! They just need a computer and your link! 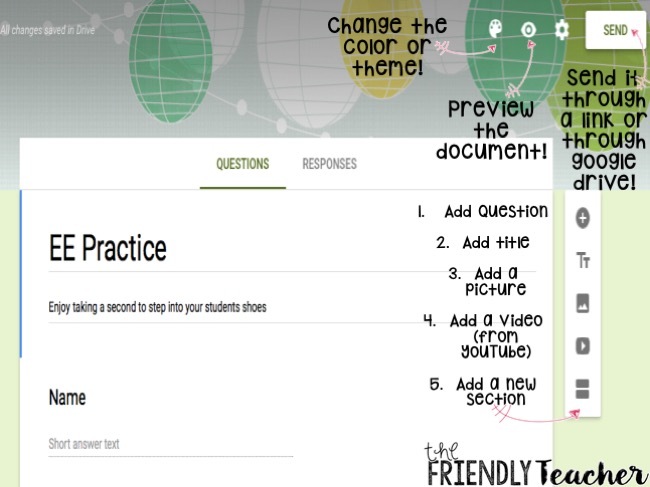 Here are some examples of what your kiddos will see once you put the form together. They fill it out and it is quick and painless! Plus, there are so many designs you can also make it CUTE! Yes, I just said it that it is painless and cute!!!! 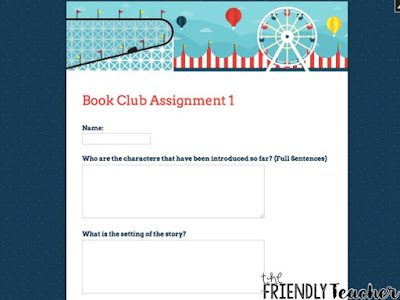 I love to use this for discussion questions for book clubs. The students will read their assigned chapters for the week and then when they are done they will go quick and answer the questions on the form. They bring the form to their next meeting for quick and easy discussion points! 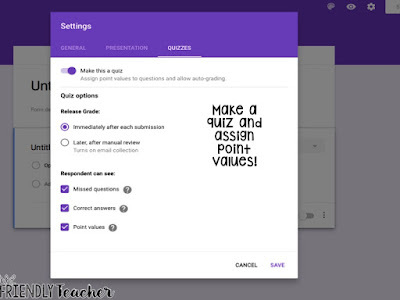 Another way we use Google Forms is for Quizzes. The students will take the quiz online after they are done with their assigned reading for our whole class novel studies. It will grade it and I will record the grade and print it for their parents, if needed. If you read the Lemonade War or Stone Fox I already have all the quizzes made for you! Check it out by clicking the link here! First, you go to Google Forms and create a new form! If you want a quiz instead of a form then you are going to hit the setting circle at the top and click quizzes. From there you will hit make it a quiz. You can assign point values and create an answer key! When you choose your style you add a title and start adding questions! There are so many question choices. You can make them type or just do all multiple choice, it’s your call! Up at the top you can change the theme! 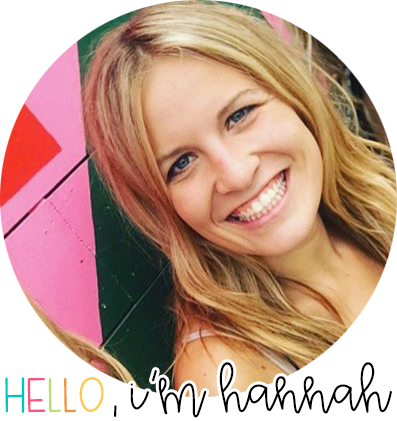 They have tons and tons of fun and cute themes or you can add pictures that you have on your computer! It takes 2.2 seconds and it is adorable. (unless you are like me and will spend an hour scrolling through the screen to find the perfect one that your kids won’t care about anyways)! Click the eyeball to preview the document and the send button to send it! I know, that this was a ton of information, but let me tell you it is oh so worth it! 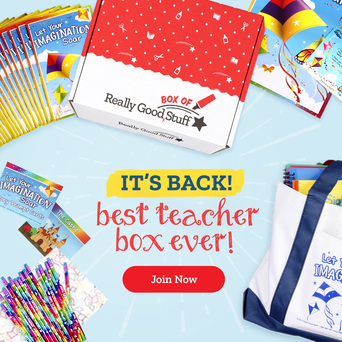 It is the quickest, easiest, and most engaging way to assess!! Look at my kiddos LOVING their google forms! 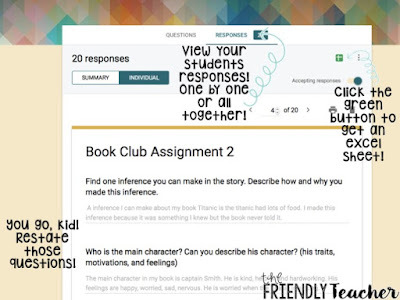 You can even have them create their own quiz on what they read and then give it to another student. They LOVE it! The possibilities are endless! 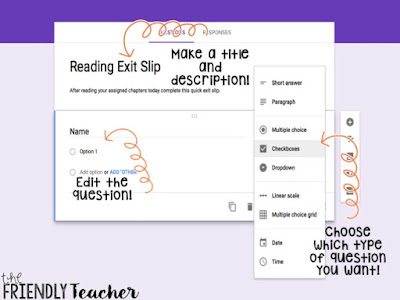 You can give exit tickets, worksheets, videos, pictures, and the list goes on and on! 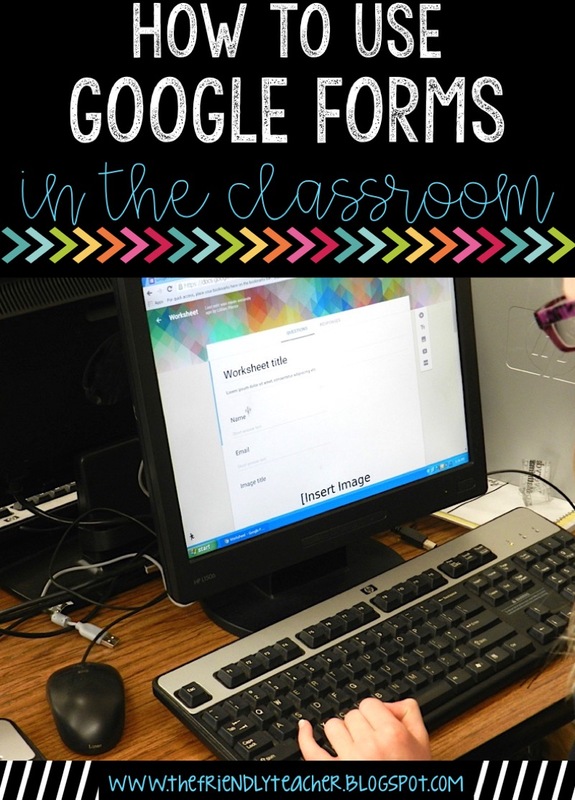 Turn anything into this paperless Google Form!